In a five-year multi-million euro Saft is supplying its specialized SRM nickel-technology batteries for 93 eight-car MTR metro trains currently under construction by CRRC Sifang Co. Ltd, the Chinese rolling stock manufacturer. 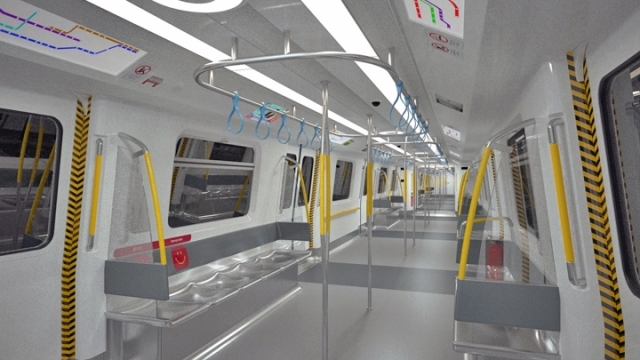 Saft batteries will help maintain world-class service for passengers on Hong Kong’s new MTR metro trains. Should a train lose its main power supply the onboard Saft batteries will take over seamlessly to power lighting, air conditioning and door opening systems as well as new dynamic route maps. The Saft batteries will provide the new MTR trains with up to 60 minutes of backup power to support vital control and safety functions. MTR has specified the cells in a steel casing that meets the highest fire-proof standards. The cells are designed for extreme reliability as well as enabling the batteries to be some 20 percent smaller and lighter than lead-acid batteries of similar performance. Their nickel-based technology does not suffer ‘sudden death’ failure and can provide a long service life of up to 15 years while requiring minimal maintenance.